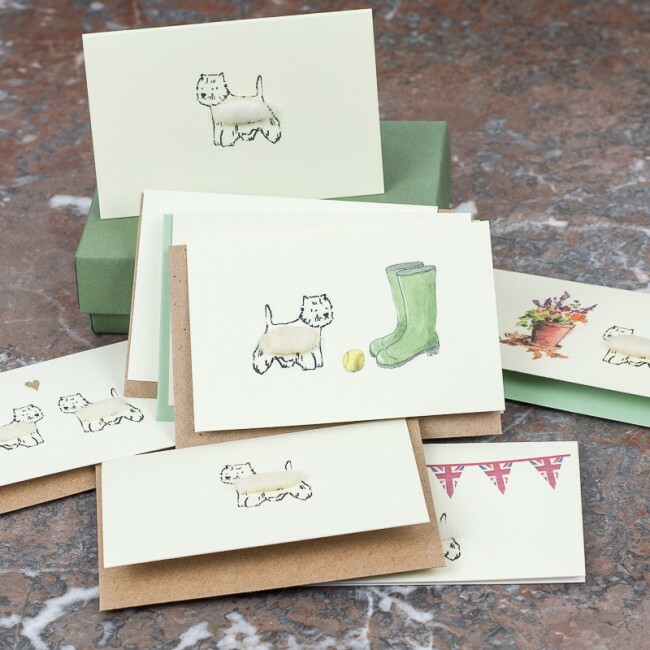 This boxed collection of wesite dog gift cards is a gorgeous little gift for anyone with a West Highland terrier. 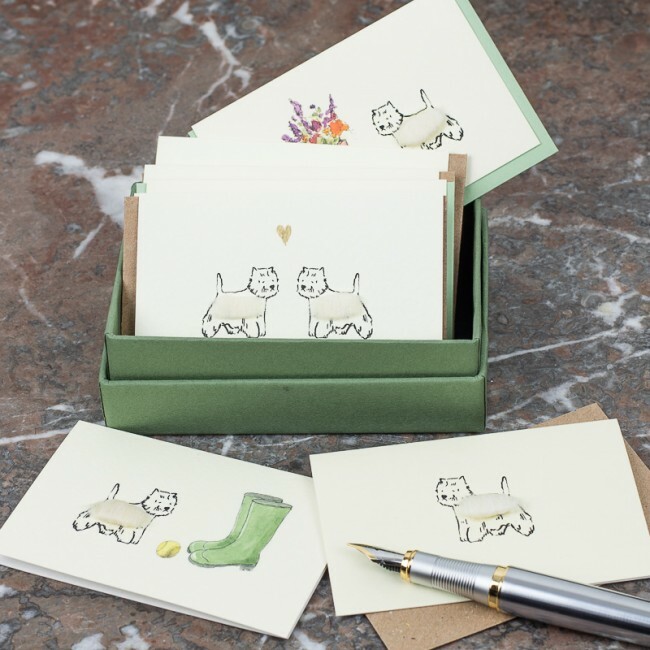 8 cute little westie dog designs are presented in a beautiful box, keeping them safe until needed. 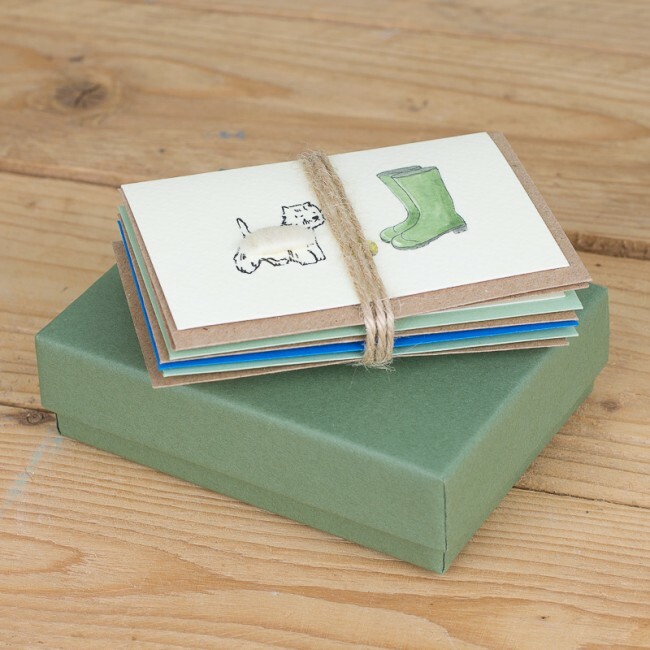 Each is hand finished with a fluffy body made with real sheep's wool - a quirky and delightful finishing touch. 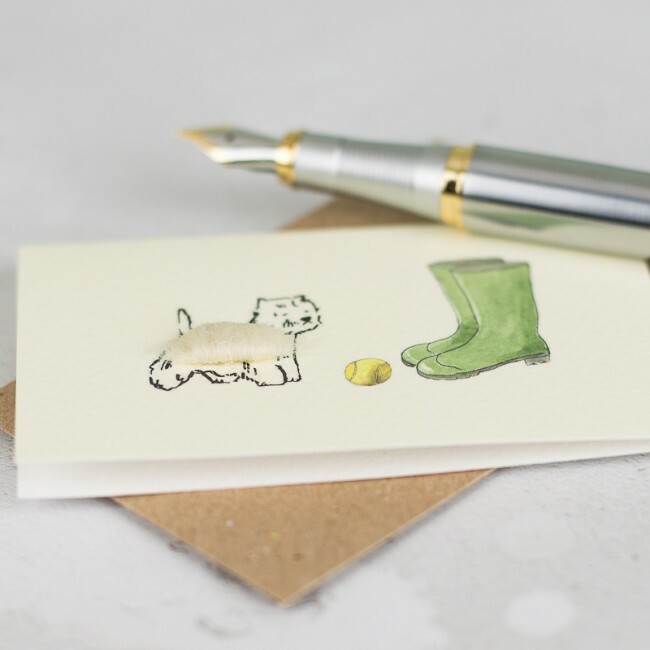 This is a lovely gift for anyone who loves Westies - a very popular breed, full of character and charm. 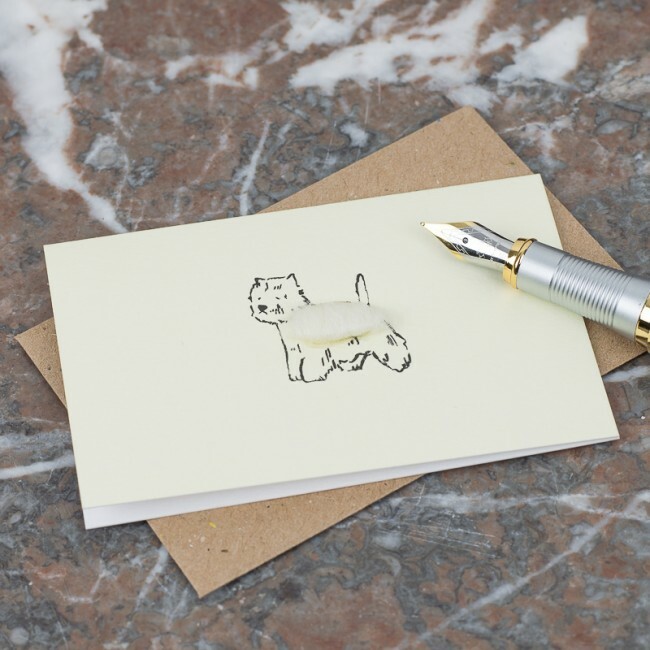 If you have a westie, why not treat yourself to these so that you can delight your friends by sending one to them or adding it to a gift.